Teenage female in high altitude adventure. 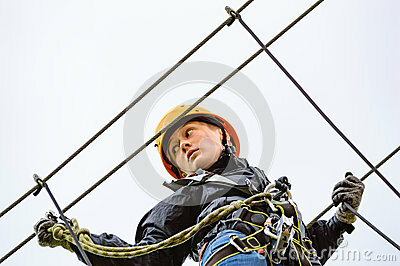 Fearless and brave she climbs and swings through the canopy in safty gear and harness. A woman in a red sweater stands on top of a mountain and photographs a mountain landscape.